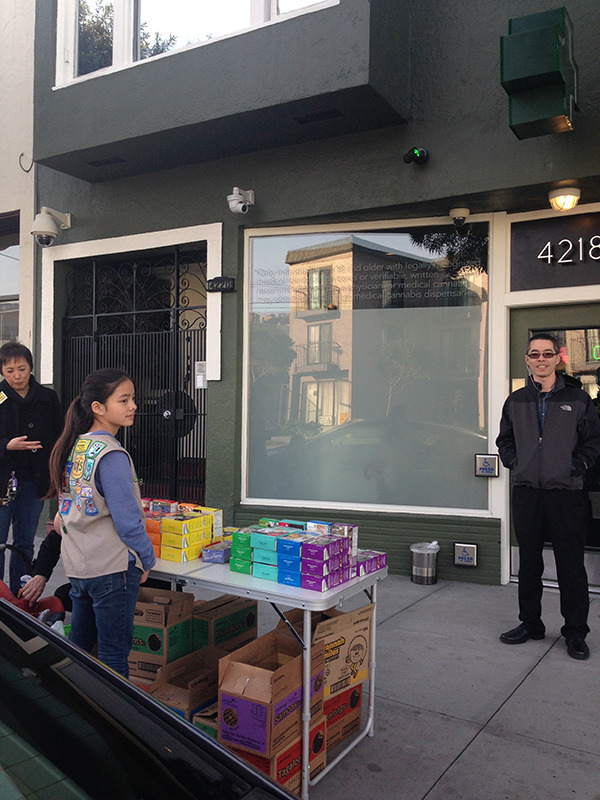 This little genius named Danielle Lei raked in the dough selling Girl Scout cookies outside the Green Cross cannabis dispensary in San Francisco this week. She’s going to go far in life, I bet. The Girl Scouts of Northern Cali are fine with the idea.